Mother Mother have never shied away from switching things up. Originally an acoustic folk trio, the Vancouver quintet has since branded itself as an alt-rock band, art-pop troubadours and everything in between. The band's newest incarnation seems intent on making it big, having recently signed to the majors at Universal Music Canada and leaving behind Last Gang Records, with whom they released their last four outings. 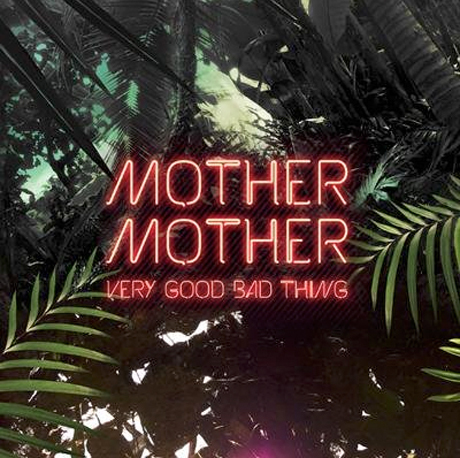 For their fifth studio album, Very Good Bad Thing, Mother Mother handed over production duties to venerable Canadian record producer Gavin Brown, known for his work with the Tragically Hip and Metric. His presence is thoroughly felt throughout the album's ten tracks, especially on "Kept Down" and "Shout If You Know," on which Brown produces material that could easily find itself on a Metric album, making their sound stadium-ready by adding multiple levels of pop-rock sheen. First single and album opener "Get Out The Way" makes a strong declaration of the direction the band has decided to take, and its accompanying video betrays the fact that the five-piece clearly has its eyes set on a higher level of stardom than they've experienced thus far. Songs like "Modern Love" and the album's titular track are obvious bids at becoming a "big Canadian band."